In a recent blog post surveying the attractiveness of individual FTSE 100 stocks Vodafone came 2nd with an expected annual return of 10.8%. The figure was based on the average 3 year dividend which came in at 5.1%. 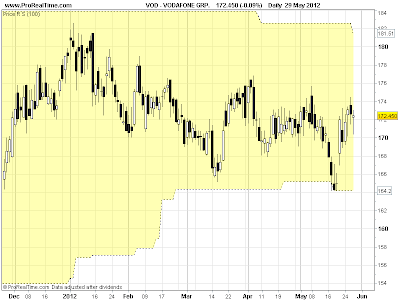 The current dividend yield is 5.5%, with a 7.5% analyst forecast for 2013. The dividend for 2014 is estimated at 13.79 compared to 9.52 for this year. That gives an almost 45% increase in the dividend over the next two years. Being conservative I put a 6% annual growth rate on the dividend in the model (which is 75% lower than current analyst estimates). So on paper the figures are pretty impressive. Vodafone is a mobile telecoms giant with over 150m customers worldwide and good exposure to a numbers of developing markets, most notably India and Turkey. Scratching under the surface uncovers a few less desirable features. Last week their CFO sold £1.7m of his Vodafone stock which was a significant stake reducing his total holdings by almost 40%. In February their Regional CEO sold £900k worth of shares reducing his holding by almost 30%. If you go back to August 2011 over £5m worth of stock was sold by the directors. Very little insider buying has happened over this period and none of the amounts have been all that significant. Of course there could be circumstances when a director needs to sell some stock for some personal reason but the scale of the deals and the fact that a large number of the insiders are selling at the same time seriously concerns me especially as the stock looks so attractive on paper. 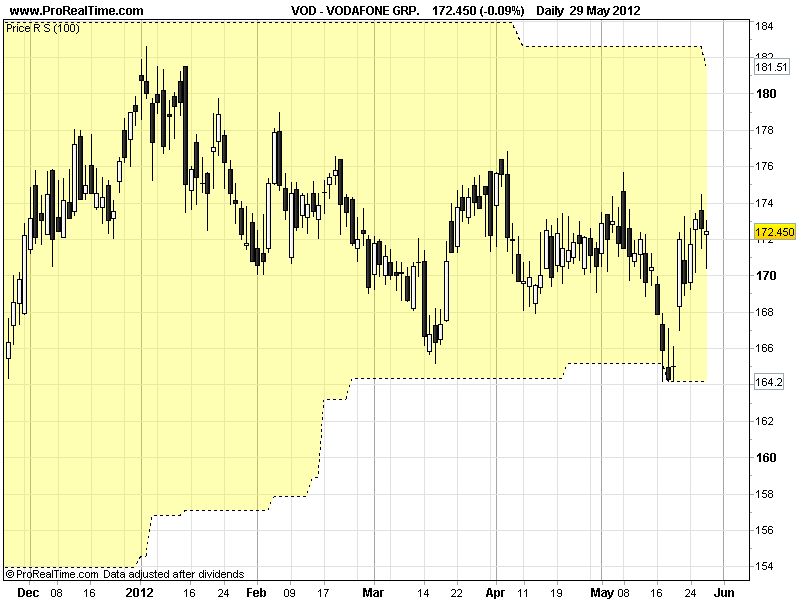 On the 17th May Vodafone broke it's 100 day support line suggesting a downtrend is imminent. The weak price action coupled with the serious insider selling would certainly discourage me from investing in this stock. The high analyst estimates also seem a bit too optimistic for me. Sure, Vodafone has exposure to growing emerging markets but this is still a very competitive sector . 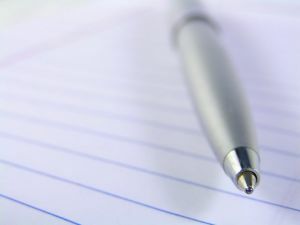 The dividend is a clear appeal to many investors and is currently covered well but the cover going forward, especially with the generous dividend increases, looks a bit tight. If the directors aren't confident enough in their own business to keep holding the stock then neither am I. Below is a table showing the expected annual returns on a long term holding of the following list of FTSE100 stocks. I've ranked them in order of total expected return based on the model I outlined in the entry on stock valuation. All the data I have used is from digitallook.com. Analysts' forecast is the annualised dividend growth rate over the next 2 years. So if a share currently pays a 10p dividend and the forecast dividend for 2014 is 12.1p then the annualised dividend growth will be 10%pa. I've limited the growth rate to 15%, if a stock has an analyst growth rate higher than this, say 20% I have substituted 15% into the table below for the model. The reason for this is that high growth rates for large cap stocks are unsustainable in the long run. The 3 year average yield is the total dividend paid over the last 3 years divided by 3 and then divided by the most recent share price. I've omitted stocks with negative dividend growth forecasts (Eurasian, Kazakhmys, Man Group and Fresnillo), erratic dividends (BP), no dividends (Lloyds, RBS and Int Cons Airlines), or without 3 years track record of making dividend payments (GKN, Anglo American, ITV, Wolseley, Evraz, Carnival, Glencore, and Polymetal). That still leaves 84 stocks in the FTSE100. As the stocks in the FTSE100 are large cap I have used a factor of 40% on the analyst growth rates for the model (for FTSE250 stocks I would use 33%). I have used the adjustment factor which I outlined in a previous post, but have been conservative and not used any positive adjustment factors. Is it time to buy HSBC?